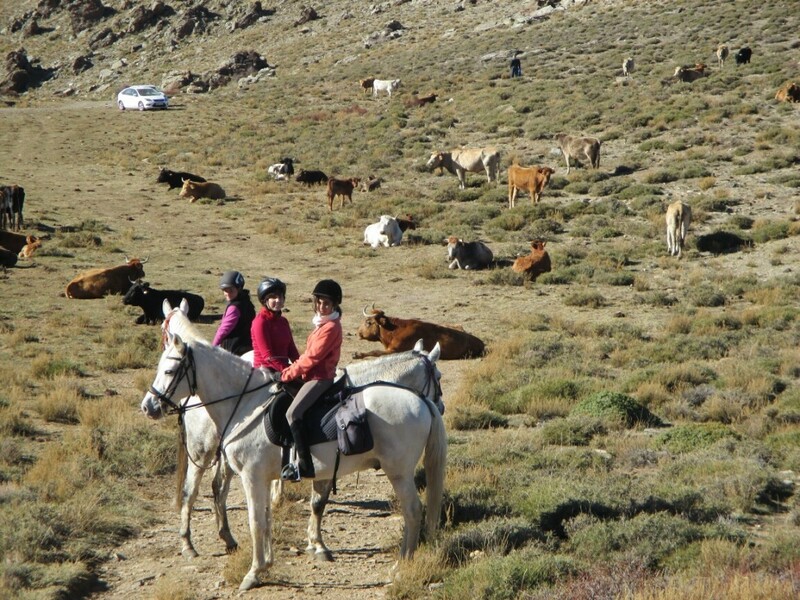 Sierra Nevada Horse Riding: cows. 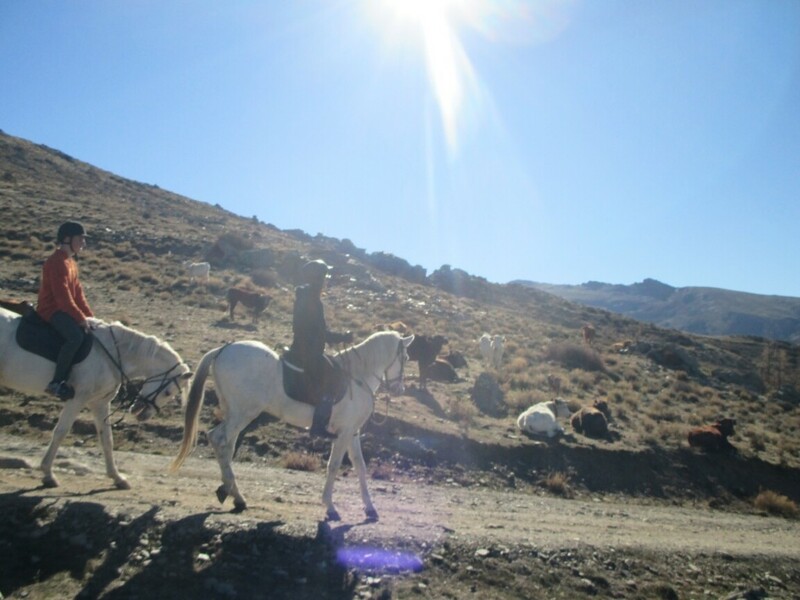 I was speaking about cattle driving in Sierra Nevada before. In Spanish, “trashumancia” means cattle transportation, which is more complicated than cattle driving because it envolves long distances of hundred of km. 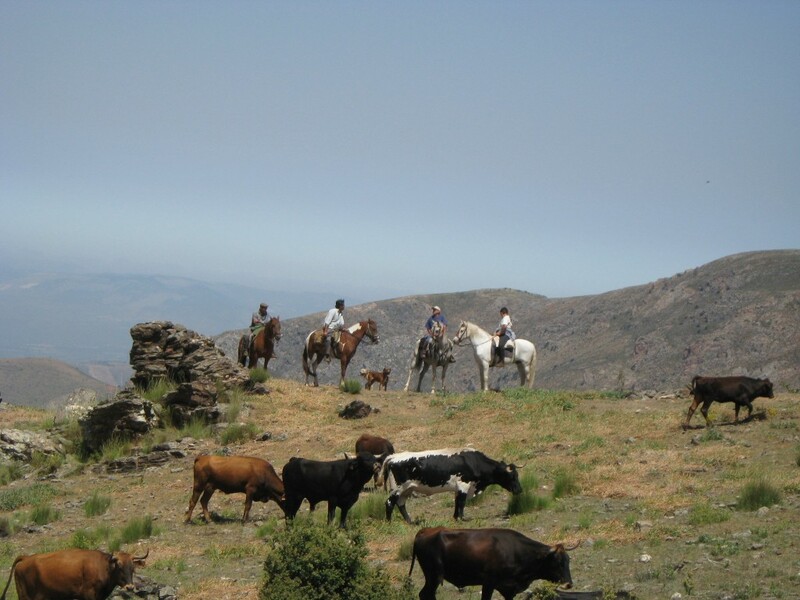 The tradition was like this: in summer the cattle owner keeps his cows free, extensive, over a big area in Sierra Nevada National Park, usually over 2000m high. At the end of the summer the cows will be moved to Cordoba, leaving the snow behind and lloking for green winter pastures. They used to do this with horses and “vaqueros” (cowboys) using the traditional vaquero saddle and equipment. Now is so much more complicated: the job is too hard and there are not vaqueros left and even there are not horses able to do the work. 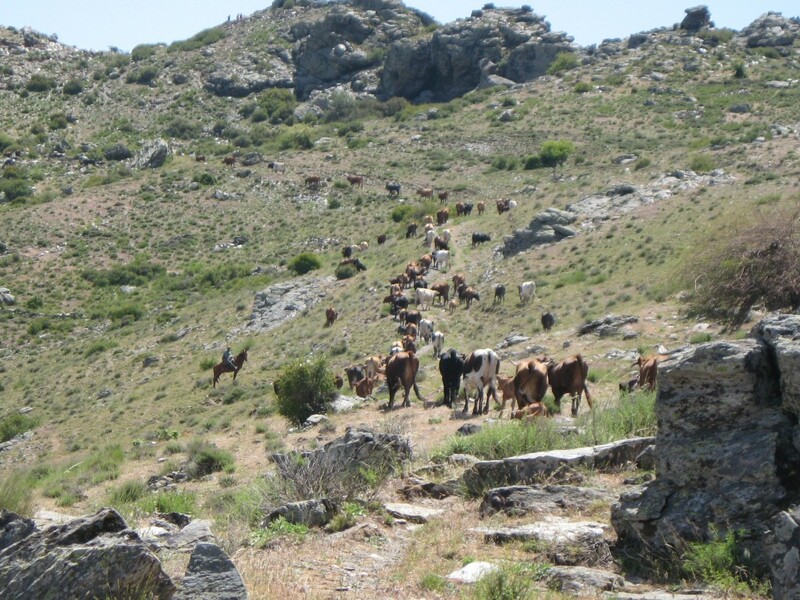 In my town, Guejar Sierra, there is only one owner left driving cattle with horses in regular basis. 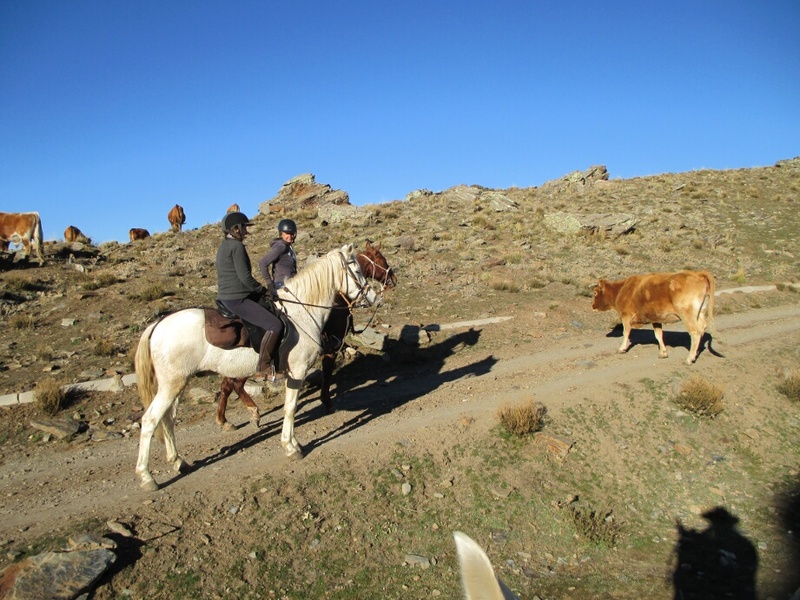 Right now, they still go to Cordoba, but they only do cattle driving a couple of days, from Guejar to the top of the mountains in spring and the opposite direction in autumm. ← Sierra Nevada Horse Riding. Video Content.